with disabilities to develop and enhance abilities. 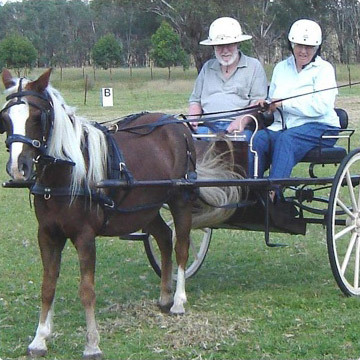 The aim of RDA Carriage Driving is to teach people with disabilities to drive carriage horses. Whenever possible, specially built wheelchair loading carriages are used, giving opportunities to both ambulant people and those who use wheelchairs. RDANSW Dressage offers registered RDANSW Riders an opportunity to compete in Dressage Competition. 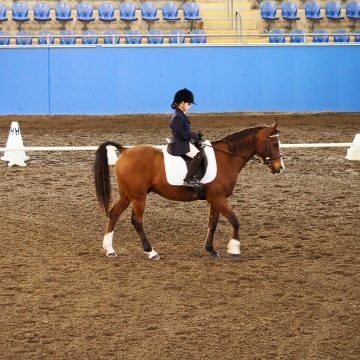 Each year we offer a Video Competition and encourage RDA Centre’s to host a Protocol Day and Regional Competitions in the lead up to the RDANSW State Dressage Championships. 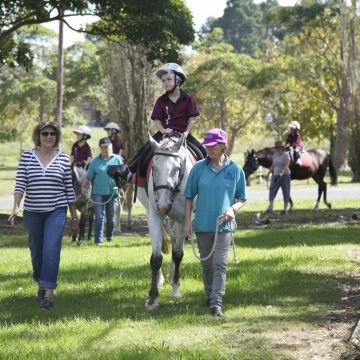 Mounted Game are aimed at being fun for horse and rider, while improving their co-ordination and confidence. 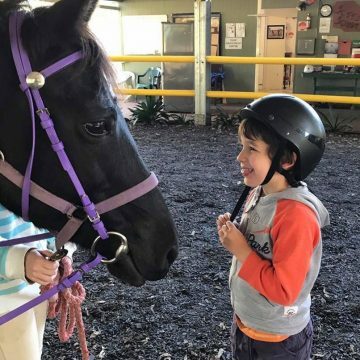 Equine-facilitated psychotherapy (EFP) and equine-facilitated learning (EFL) are experiential forms of psychotherapy and learning that involve horses. 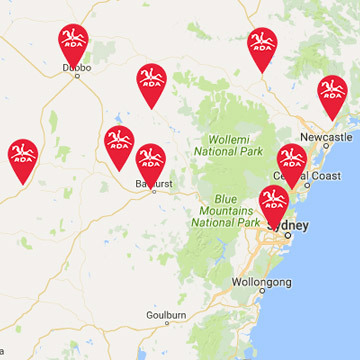 RDA (NSW) has developed a coach accreditation program to ensure standards of professionalism and safety in offering these services to local communities. Hippotherapy literally means “treatment with the help of the horse” (from the Greek word hippos for horse) The horse’s movement is the tool used by the therapist trained in Hippotherapy to achieve the goals identified in the clients assessment. 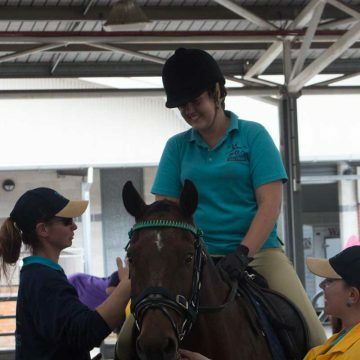 Do you want to be an RDA (NSW) Volunteer? Do you know someone who wants to volunteer? 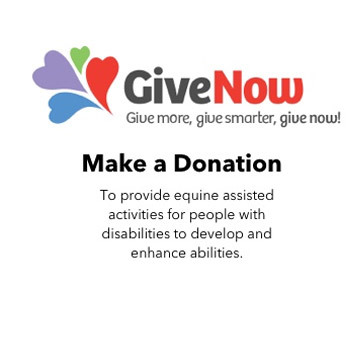 Help to lead our horses or assist riders. 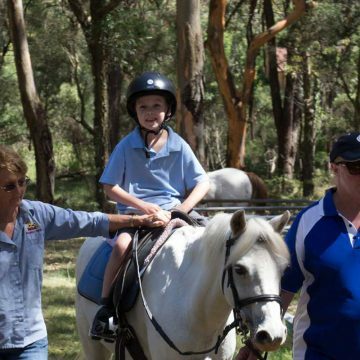 Lend a hand throughout the grounds at your local RDA (NSW) Centre. Why not help at fundraising events or functions? Whatever your talent, we can use it! Volunteers don’t need any prior knowledge of horses, they learn on the job. Jobs may include horse and non horse related tasks including making cups of tea, assisting riders to prepare for lessons and helping with activities during lessons. Contact your local centre and ask about volunteering. You will receive training when you attend a centre. 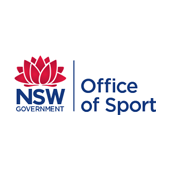 The RDA (NSW)Coach is responsible for the initial assessment of riders, mentoring of Assistant Coach, lesson planning and implementation of riding sessions, oversight of volunteers and maintenance of adequate records. Or as in How to become a Coach? 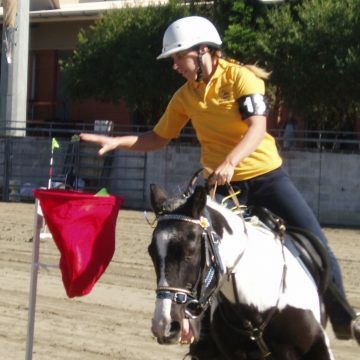 The Coach is responsible for the initial assessment of riders, lesson planning and implementation of riding sessions, training of Volunteers and maintenance of adequate records plus the supervision of Trainees and Assistant Coaches. The RDA (NSW) State Dressage Championships and Gymkhana Gala will be held at the Sydney International Equestrian Centre from 11th to the 13th August 2017. Details on the Championships sand other information is available on the Dressage page.